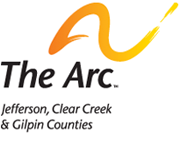 The Arc - Jefferson, Clear Creek & Gilpin Counties : Hidden Content : ARCHIVED PAGES : Who is Your Advocate? : Who is Your Advocate? Each of The Arc's Education & Family Advocates works with designated school sites. Please use the list below to determine who is the assigned advocate for the school your child is currently attending. If your child does not attend one of the schools listed, please see the Additional Information section below. If your child is home schooled or attends one of the schools listed below, please contact the advocate who serves your neighborhood school (the school your child would be attending if they weren't homeschooled or at the sites below).